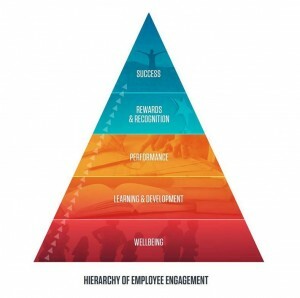 Wellbeing Is The Foundation of Employee Engagement by Rajiv Kumar, M.D. Home Blog Wellbeing Is The Foundation of Employee Engagement by Rajiv Kumar, M.D. Open any business magazine, scroll through any human resources group on LinkedIn, or navigate to any industry blog, and you’re bound to see the same two words: employee engagement. It’s a long-standing corporate obsession, understood as fundamental to worker productivity, retention, and overall business performance. Yet, despite its importance, employee engagement rates remain low. A recent global survey from Aon Hewitt found that just 24% of employees are highly engaged at work. The traditional methods for fostering employee engagement are failing. Tools like learning and development programs, rewards and recognition platforms, and engagement surveys, while useful and well-intentioned, have generated only incremental or short-term impact on employee engagement. That’s because these approaches don’t address the basic foundational need of employees: personal wellbeing. If employees don’t bring their best selves to work every day – feeling physically, mentally, and emotionally prepared to work – nothing else matters. If they’re not staying physically active, eating a healthy diet, sleeping well, and managing their stress, they’ll lack the focus, energy, and drive to succeed. Without wellbeing, employees won’t have the focus to acquire new skills and grow professionally because they’ll be distracted and mentally foggy. They won’t have the energy to improve their performance because they’ll be tired and depleted. Unless they have a strong foundation of wellbeing, employees will lack the drive to do stellar work that is worthy of recognition, and thus they won’t achieve their optimal level of success at work. What Bersin is describing supports a new framework for employee engagement that positions wellbeing as the foundation, and places everything else – growth, performance, and success – upon its base. This is analogous in many ways to Maslow’s hierarchy: you can’t reach the goal at the top of the pyramid without first fulfilling the critical needs below it. Industry research also supports this model for employee engagement. In a recent survey by Xerox, now Conduent, 86% of employers said that wellbeing is the single factor that has the largest impact on employee engagement, and 74% view their wellbeing program as an important element of the employee value proposition. Rajiv Kumar serves as Chief Medical Officer and President of Virgin Pulse Institute. 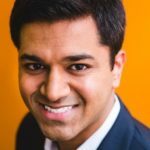 Dr. Kumar joined Virgin Pulse in 2016, following the company’s acquisition of ShapeUp, an employee wellbeing company that he founded in 2006. Dr. Kumar earned his medical degree from the Warren Alpert Medical School of Brown University and has a Bachelor of Arts in Business Economics from Brown University. Excellent insights … now, let’s get more employers on board!